Hard to believe that it’s less than a month until the Calgary Stampede. It’s definitely one of the highlights of summer. The parade, the skyride, the games, the rides, but most importantly, the food! 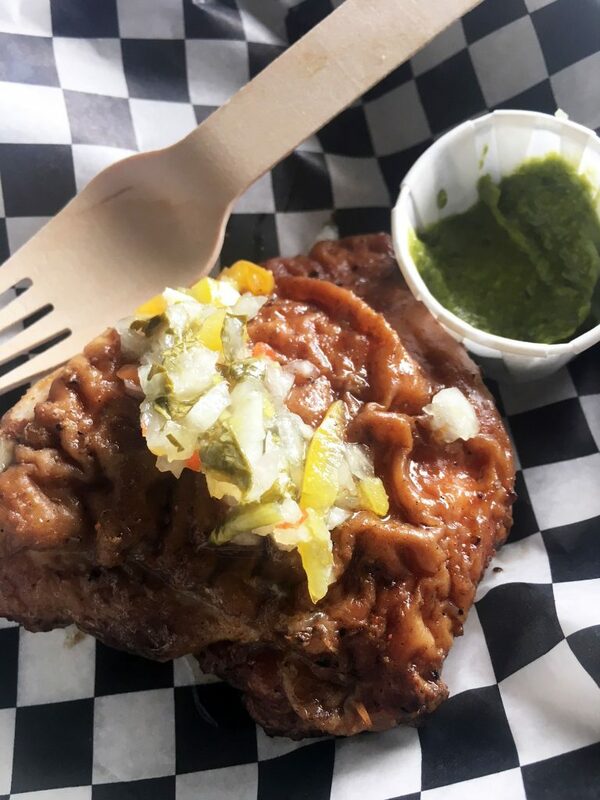 The list of Stampede eats was released a few days ago and it is a delicious one! The list offers savoury and sweet options as well as questionable ones that include crickets and kangaroo. I was able to get a sneak peek at some of the offerings and they were good! Here’s a quick look. 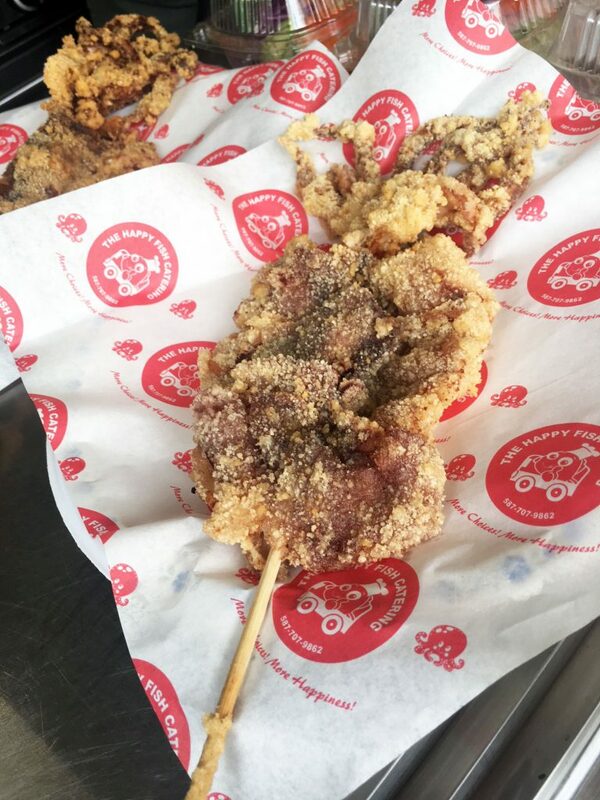 Giant squid on a stick from The Happy Fish Catering. This thing was huge! The squid is soaked in a seasoned bath for hours before being breaded. 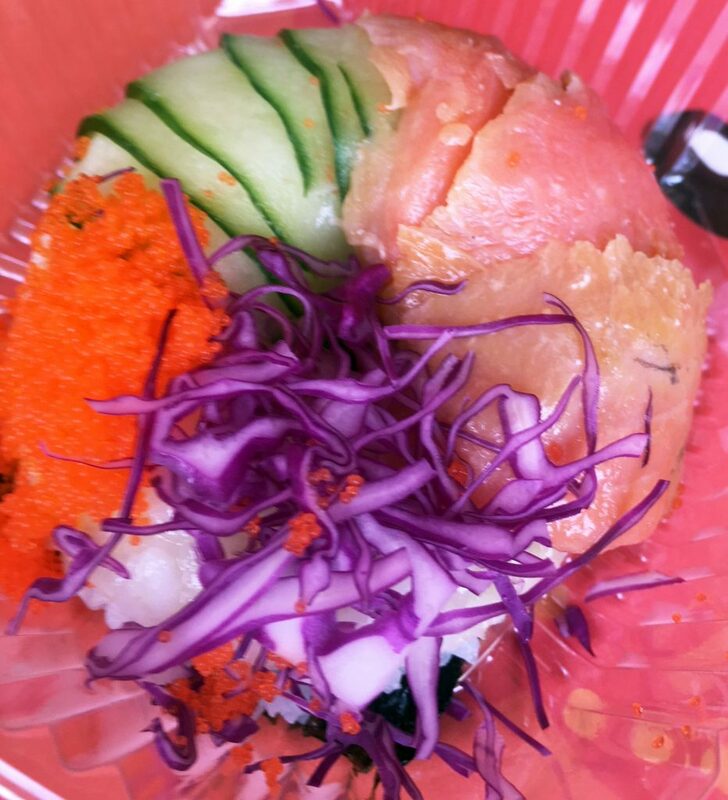 The food truck is also serving up a sushi donut. Yes, you can have sushi on the grounds. The Fish and Chips Dog from Family Squeezed. 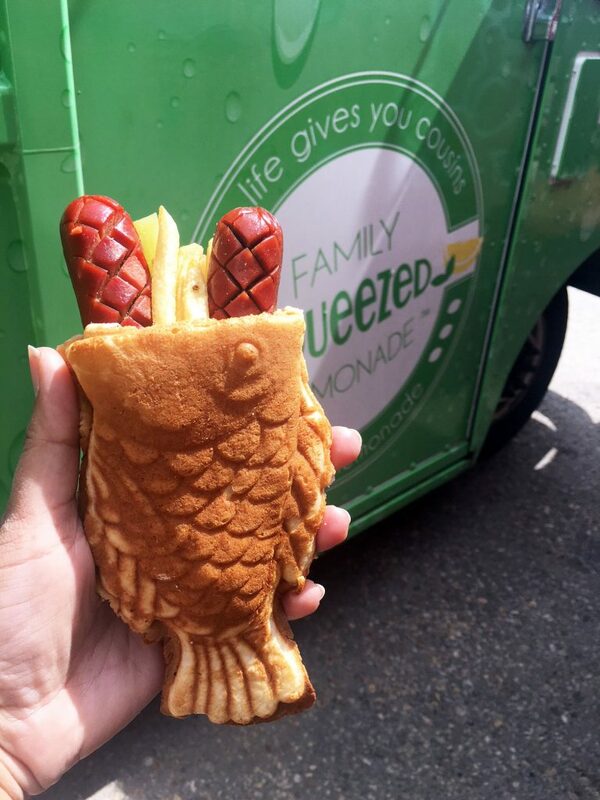 This is basically a fish waffle filled with scored all beef hot dogs and fries. 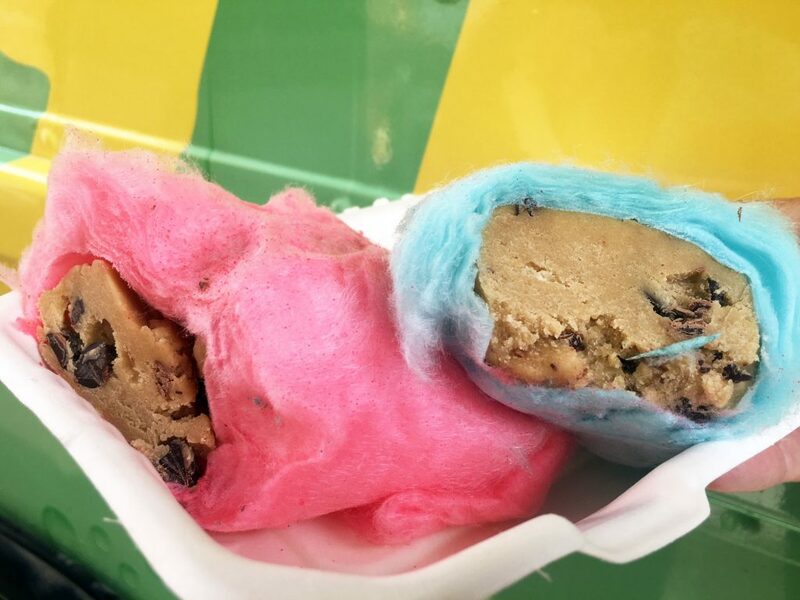 Family Squeezed also has the Cookie Dough Burrito, where cookie dough is enveloped in every kids favourite – cotton candy. 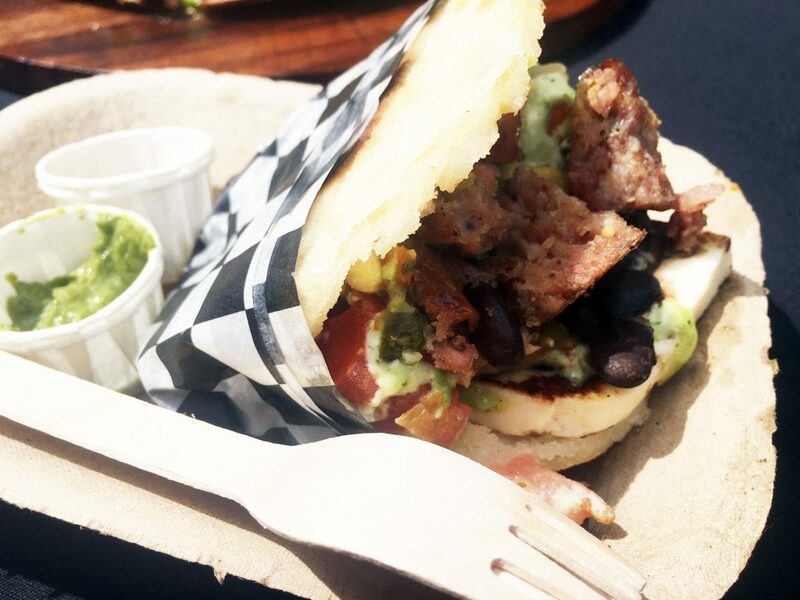 The Arepa Bus is serving up The Spicy Chicken Arepa along with a Venzuelan chicken which is super moist and full of flavour. 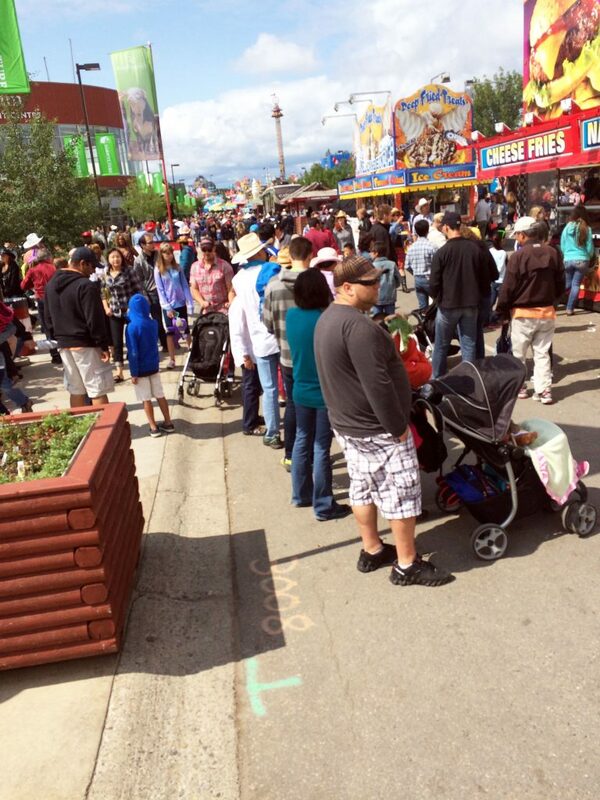 For a full list of Midway foods, head on over to CalgaryStampede.com/Food. What are you looking forward to trying? The 2018 Stampede will be taking place from July 6-15, 2018.